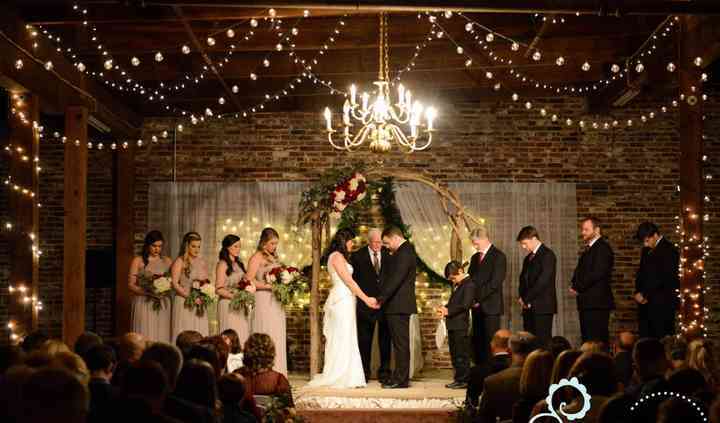 If you’re looking for a rustic setting in Alabama, check out these Montgomery wedding venues. 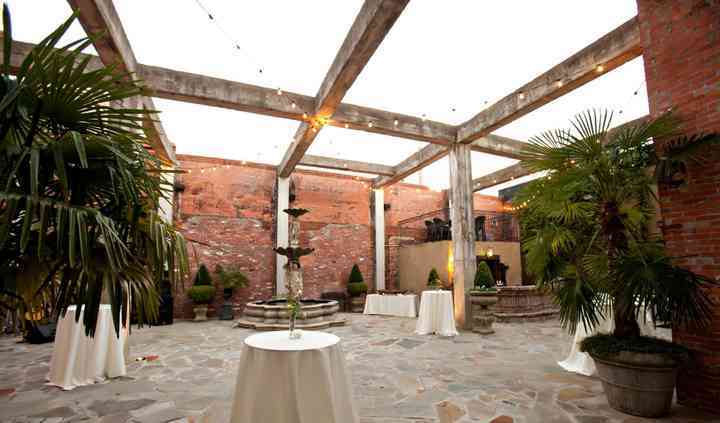 Montgomery wedding venues evoke a Southern charm that’s fit for any wedding style. From eclectic lodges to beautiful farms and...Read more barns, Montgomery wedding venues are swoon-worthy. 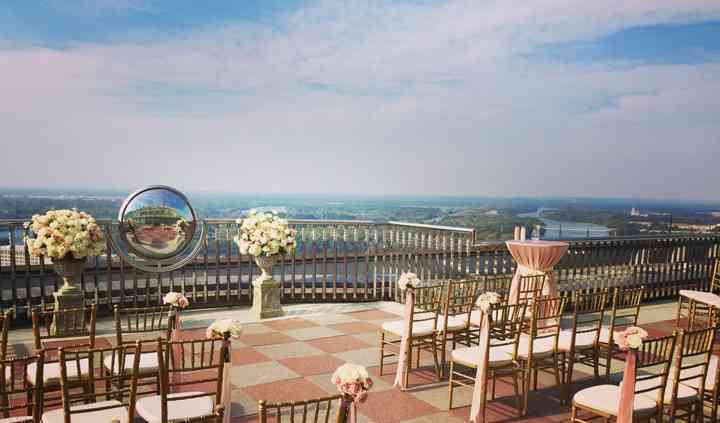 The capital city of Alabama is a picture perfect place to say "I do" with the one you love. Whether you've chosen Montgomery because its historic roots or because you're itching to serve fried green tomatoes at your reception, selecting one of many fabulous wedding venues in Montgomery will be a beautiful backdrop for your Big Day. Before you can decide on a location, you need to consider your wedding budget. Many wedding venues in Montgomery will cost you anywhere from $7,000 to about $12,000. Depending on the size of your wedding, you and your partner can scale that number up or down to cover costs. If you and your loved one are paying homage to the South, there are a variety of ways to do so. Choose Montgomery wedding venues that channel the rustic roots of the state by getting hitched in a renovated farm house or historic home in the area. For a more formal affair, there are a plethora of options to choose from. Browse through country clubs, resorts or even elegant religious institutions that are perfect for classy soirees. Are you and your guests arriving to the city by plane? If so, there are a few airport options to consider. The Montgomery Airport is a small airport in town that serves domestic destinations. Additionally, you can fly into the Birgmingham-Shuttlesworth International Airport, which is 97 miles north in Birmingham, or the Hartsfield-Jackson International Airport, which is 153 miles northeast in Atlanta, Georgia. Once you arrive in Montgomery, you and your guests will have lots of hotels to choose from. The average accommodation in Montgomery runs anywhere from $70 to about $120 a night. It's a good idea to reserve a hotel block at your chosen accommodation, so you can list this information when you send out invitations for the wedding day. If you're having difficulty finding enough rooms to accommodate your party in Montgomery, check out the nearby towns of Auburn or Prattville. Both towns are great alternatives to the state capital for accommodations and wedding venue options alike. You and your love will have a ball in Alabama any time you wed, but you might be more comfortable during certain seasons. Summers in Montgomery are known for being hot and muggy, with the warm season lasting from May through September. If you two choose to tie the knot during this time, have air conditioning or fans available to cool down your guests. Autumns and springs in the south offer more temperate weather with slight humidity. Winters are wet and cold, but the city doesn't see snow too often. Count on covering your wedding duds in coats if you get hitched from November through February. You've already made the biggest decision - choosing to marry the one you love. For all the small (and big) things leading up to your wedding, use the planning tools available here on WeddingWire. From tools to build your wedding website to lists of vendors for the nuptials, we have everything you need to make your Southern wedding truly charming.